When talking about Rabbi Nachman, you need to start with “in the beginning”, in fact it preceeds in the beginning, it starts with Israel, yes... “is - real”! The last word is Israel, the “eyes of all Israel”. the first word is Besershit (in the beginning) in two word Ber, asit (“a well (water) you made”). Rabbi Nachman is the everflowing source of wisdome. Before creating the Heavens and the earth G-d created Israel Ber ! The first and last letters for the word lev or HEART! Coincidences do not exist in the religious world. No such thing as chance everything is divine will. The maxims of the father state that the greatest quality possible is to have a good heart. This essay is about the heart of creation. We will not be discussing the teachings of Rabbi Nachman here, not at all! we will be getting into the “bones” of what the Nachman issue is about. What makes Rabbi Nachman DIFFERENT from all the saints in history. Why does humanity need to work together to bring his bones to Jerusalem. Why is this so hard to accomplish. How can this be done? What we expect the results to be. WHY DOES HUMANITY NEED TO WORK TOGETHER TO BRING THE BONES TO JERUSALEM? Peace, is beneficial to all creation. The scriptures mention a time when the lamb and the wolf (Isea 11:6) will dwell together, this may not be the opinion of empirical or Gaya scientists, yet prophesy it certainly is. If you have a clear idea of how to make this come about then please make us aware of it, and if you don't....bear with me (patiently) because this is exactly what I am about to describe in this essay of only a few pages, I even promise a tactical plan of action. WHY IS THIS SO HARD TO ACCOMPLISH? Imagine theoretically that what I am saying is true. If so, and it really is Gds plan to bring peace to his creation as it was only created as a result of the intent to create Israel Ber, the key word being Na Nach Nachma Nachman Meuman (please rest in peace Nachman from Uman) Then the main issue in the ranks of the Devil would be to prevent Rabbi Nachman of ever resting in peace. As long as Rabbi Nachman doesn't rest in Peace, there is no Peace and vice versa. Before passing away Rabbi Nachman said something very strange: "What are you worried about I am going before you? ah, just stick together and I will be with you!". Rabbi Nachman was not talking about heaven since we are not worried that he will get there. Why would he come back down because we are acting well, wouldn't it be us going up which is the prefered choice. He also said things like, "my place is only Israel" and "Everywhere I am going I am walking to Israel" (WALKING: this is also alluded to when he tells Rabbi Natan that his scurrying about to rent a coach was exactly as if he had walked to his destination.. confirmed by environmentalists that the real speed of a car is 7 mph if you include the real costs involved and the time it takes to earn the money). Carrying the bones of Josef was done exclusively by Moses and Joshua Ben Nun and they relied on no other means of transportation for this then their very legs, although oxen carts were available. Walking on the earth has a very spiritual significance as we know for example from the three yearly pilgrimages called "regel' meaning foot and must be done on foot by adult males. Rabbi Nachman states that the earth is the center of the Universe and acts like the spoke of a wheel. One mile here is light years in heaven. The 40 years in the desert, seemed like punishment, but never have we reached a higher level then that. Instead of dwelling among us in the Temple, when we were marching Gd would surround us from every side! No these are not irrelevant associations of facts. This is exactly the situation that will exist when, like the bones of Jacob, the leaders of the world will carry the bones of Rabbi Nachman to Jerusalem. WHAT DO WE EXPECT THE RESULTS TO BE? The destruction of the Temple took place 70 AD. There were 70 years between 1st and 2ond temples. There are 70 members of the governing body the San Hedrin. There are 70 nations. Adam the first man gave 70 years of his life to King David and now the average life expectancy is 70 years. Eve who brought death to the world experiences 70 birth pains. Samson requests the annihilation of "falshood" in one time, as revenge for his two eyes! Eye in Hebrew is 70. Josef was "ben pourat ale ayn" protected from the Evil eye. He was born from 20 years of tears of Rachel, the second son is not a wolf. Children of Romolus and Remus, the milk of a wolf has made you crazy! The scond eye of Shimshon, the result of 4000 years of tears of Rachel is Nachman or Nachamo Nachmo (consolation) "ish lo needar" a man will not be missing! This is the Haftorah of the 9th of Av anniversary of the destruction of the Temple. All those sad things associated with the number 70 and all tears will be wiped off from the face of the earth! 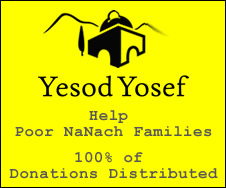 Messiah Ben Josef is associated with 17 (like Moses, Josef, Israel) and is the weath of the world. Messiah ben David is Chessed (USA Kingdom of Kindness (Saba Israel)) and he will conquer using force, but will win without having to fire a shot!